Mikel Arteta marked his 100th Premier League appearance in the 3-0 win over Burnley and it was good seeing the captain lead the team out as he returned to full fitness following an injury that sidelined him for a couple of weeks. In the wake of this milestone, Gooner Daily has decided to celebrate it by reliving those Arteta moments that endeared him to the hearts of Arsenal fans worldwide. One distinct feature about Mikel Arteta is the fact that his hair seems to always be in a “perfect” position all year long. The player even confirmed it in the #RainbowLaces advert that featured him and some other Arsenal stars. No wonder he’s usually the first person to meet when new players want to settle. 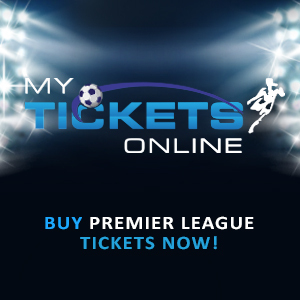 In Arteta’s first season with the club, he notched up 29 Premier League appearances and he made a whooping 2,229 passes that was only bettered by Manchester City’s Yaya Toure (2,419 passes). That season, he had an overall pass completion percentage of 90.09%, making 60 key passes, scoring six goals and notching up two assists. He has maintained his passing consistency with each passing season and he has picked up where he left off in this campaign. It was rather unfortunate seeing Alex Song depart to Barcelona but instead of signing a replacement for the Cameroonian, Arsene Wenger asked Arteta to change his role in the team to a more defensive position, which he did with minimal fuss. As simple as it may sound, it wasn’t an easy decision to make. He was Everton’s advanced playmaker in his six seasons with the club and in his first season at Arsenal, he was the box-to-box midfielder. There are a few midfielders in the world that play the role Arteta does with such influence and panache. Juventus’ Andrea Pirlo and Bayern’s Xabi Alonso are central midfielders that have dropped deeper to influence games with their “quarterback” like style of play. This style of play involves them making themselves readily available for a pass then threading the ball forward. This is the style of play that Arteta has adopted and he has become damn good at it. No one in the team retains possession like the Lego-haired Spaniard and his composure on the ball is exemplary. In his Arsenal career, Arteta has grown to become to No. 1 penalty taker in the team and he has a very good record from 12 yards. The only moment he buckled was when he missed an injury time penalty against Fulham (3-3 draw) but his composure in taking spot kicks was put to test when he played the dead ball twice in Arsenal’s FA Cup victory over his former team, Everton. Arsenal huffed and puffed on Manchester City’s defense but the door remained shut. An attack orchestrated by Tomas Rosicky saw Bacary Sagna drill his cross into the danger area. Theo Walcott hit it first time but his effort clipped the post. Vermaelen’s follow up was poor and a golden chance slipped past the Gunners yet again. Wenger sent Aaron Ramsey and the Ox into the fray but the match clincher arrived when Mikel Arteta epitomized Arsenal’s new pressing principles by closing down a player on the ball. He fashioned a chance for himself and smashed in a delightful piledriver that beat Joe Hart on his near post. Arteta has responded to that by saying that he tries his best to be a good example to others and his exploits on and off the pitch has proved that. In regard to his exploits off the pitch, you don’t need any soothsayer to tell you that Arteta played a key role in settling Santi Cazorla in Arsenal. When Thomas Vermaelen left the club for the bench of Barcelona, Wenger was faced with a decision to make in passing the captain’s armband to a new player and I wasn’t surprised when he selected Mikel Arteta, his trusted lieutenant. It didn’t even take Arteta long to lift a trophy as captain with the club. Feel free to share other things you love about the Spaniard with your comments. Posted on November 3, 2014, in Arsenal, Football, Premier League and tagged Arsenal, Football, Mikel Arteta, Premier League. Bookmark the permalink. 4 Comments. Totally agree, enigma. 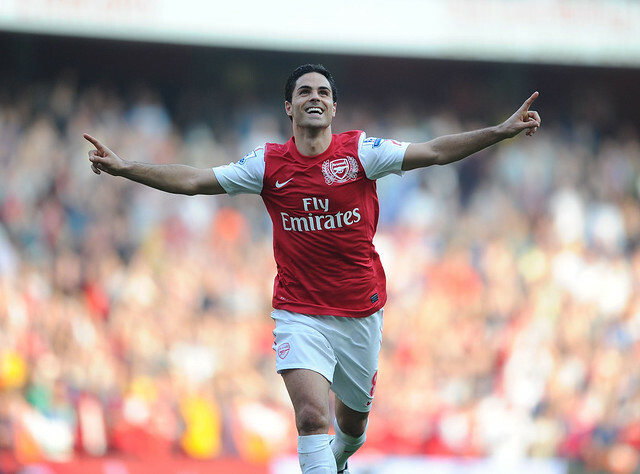 Arteta is a committed pro, loves Arsenal and a top guy.